Easton youth bats are a result of the commitment and desire behind Easton's mission to deliver high-quality equipment to players of all ages across the globe. For the 2018 season, the S250 series is extremely powerful, yet lightweight. Crafted out of the military grade ALX50 alloy, these baseball bats deliver fast swing speeds, large sweet spots, and premium performance you have come to expect from Easton. Each model also comes pre-wrapped with a tacky, all-sports grip that helps benefit both comfort and control through the zone. Easton: Engineered For Glory! This 2018 Easton S250 USA Youth Baseball Bat (YSB18S250) features a drop 10 length to weight ratio, a skinny 2 1/4-inch barrel diameter, and the USA Baseball certified stamp. Easton has also utilized a rolled over alloy end cap on one end to provide better overall durability and an ultra-thin 29/32-inch tapered handle with a balanced swing weight. Swing with speed and order one of these Easton USA bats today with free shipping and a full one (1) year manufacturer's warranty. Don't forget, we'll be here from click to hit! Pros: Well built - looks nice - has good feel. Have a question about the 2018 Easton S250 -10 USA Youth Baseball Bat: YSB18S250? Ask our team of experts and they will respond within 24 hours. Looking for a bat for my 8 year old son. What would you recommend? Would this be a good one? If your 8 year old player is required to use the new USABat certification, then this 2018 Easton S250 -10 USA Youth Baseball Bat (YSB18S250) would be an option of bat to consider. 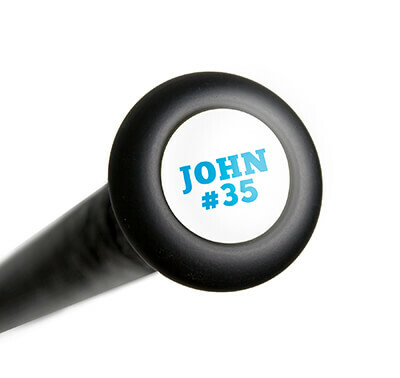 For most 8 year old players, we suggest a 28" length bat. I might recommend taking a look at the 28"/18 oz size of bat as long as your player can handle that weight. I understand that the S350 and S450 are -11 and -12, but how is the S250 different from the S150 since both are -10. Also, do you know approximate barrel size for the 29"? Essentially the only difference between the S150 and S250 are the cosmetic differences. Both of these bats have a 2 1/4" barrel diameter. If you are referring to the barrel length, I would estimate it to be roughly 3"-4" for all sizes. Does this Easton S250 have good pop? Yes, the 2018 Easton S250 -10 USA Youth Baseball Bat: YSB18S250 will be a good performance bat. My son is seven but has trouble lifting a bat for his age group. What bat would be recommended in this situation? The 27 is right for his height but will only last a season. If he is having trouble lifting a bat I would recommend getting the lightest option that you can. The 2018 Easton S450 -12 USA Youth Baseball Bat: YSB18S450 would be a great option for him. How does it compare to the Beast X? The 2018 Easton S250 -10 USA Youth Baseball Bat: YSB18S250 features ALX50 Military Grade Alloy, which would be a lower grade alloy than the Advanced Thermal Alloy Construction (ATAC) Alloy used in the Beast X models. Also, if you're comparing this to the 2018 Easton Beast X -10 USA Baseball Bat: YBB18BX10, it would feature a 2 5/8" barrel which is larger than the 2 1/4" barrel on the 2018 Easton S250 -10 USA Youth Baseball Bat: YSB18S250. 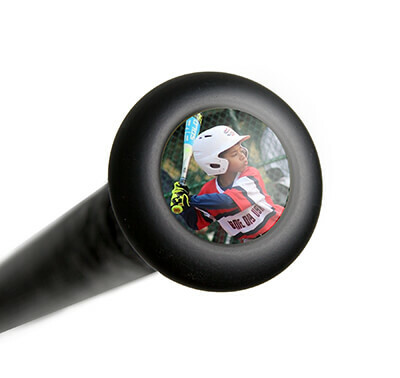 Does this bat have the USSSA 1.15 stamp? No, this 2018 Easton S250 -10 USA Youth Baseball Bat (YSB18S250) will come with the new USA Baseball certification and stamp. My son is 13 plays the senior league in Louisiana. I need to buy him a bat. I'm at a loss of what kind of size? The coach said BBCOR or USA or whatever other certifications a bat needs. I would not recommend this 2018 Easton S250 -10 USA Youth Baseball Bat: YSB18S250 for a player of that age. If you are wanting a USA bat for a 13 year old I would suggest the 2018 Easton Beast X -8 USA Baseball Bat: YBB18BX8. If you are needing a BBCOR bat, check out the 2018 Easton Beast X Speed BBCOR Baseball Bat: BB18BXS. I have a 12-year old son. What is different between the 2018 Easton S150 -10 USA Youth baseball Bat: YSB18S150 and the 2018 Easton S250 -10 USA Youth Baseball Bat: YSB18S250 except their prices? Which is better? The only major difference is the cosmetics. Both are made of the ALX50 grade alloy by Easton, both have the same all sports grip tape, and both are one-piece, full alloy bats. I believe the only difference is a minor tweak to the end cap design in the S250. Both bats will have the same pop due to the new USA standard.